Online ordering menu for Tisumi Sushi. 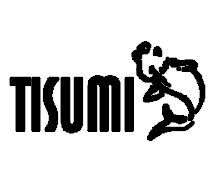 Come to Tisumi Sushi on Main Street for delicious Japanese cuisine, sushi, and Thai dishes! Don't forget to try our Yaki Noodles, Seafood Noodle Soup, and Nabeyaki Udon. Find us east of the Connecticut River near The Shops at Somerset Square. We're not far from Welles Field! Order online for carryout or delivery!